Publisher：Joint Publishing (HK) Co. Ltd. Size: 140mm × 210mm , 184pp. 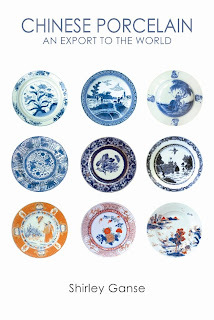 Mention of Chinese export porcelain often evokes images of galleons laden with blue-and-white bowls, dishes, jars and ewers. These were shipped with other luxury goods such as tea, silks, lacquer and spices along thousands of miles of sea routes between Asia, the Americas and Europe . The ceramics described in this book conjure up even more detailed images of this trade. These wares, made by potters who decorated them with Chinese motifs but also adapted them to the consumer tastes of far-flung markets across the world, suggest how channels of commerce operated also as conduits for the transmission of artistic styles and techniques. Just as Chinese ceramics were influenced by the forms and decoration of Islamic art, so they inspired imitations of their own, not only in the Near East but in the Netherlands , Germany , England and even Mexico . Illustrated by an extensive selection of images sourced from museums and other collections, Chinese Porcelain: An Export to the World tells the compelling story of trade, discovery, voyages, shipwrecks and artistic exchanges. As a specialist in Chinese ceramics, Shirley Ganse first visited Jingdezhen , China , in 1982, combining an interest in historical and contemporary ceramics, and exploring techniques of the potter and the cultural contexts that form them. Not only has she travelled extensively in China , she has also followed the varied paths of fabled porcelains from Indonesia to Iran and Istanbul . She holds a Master’s degree in Far Eastern art history from the University of Hawaii and has worked in many museums and with collectors over the years, both as staff and as a consultant. A long-time Study Leader in China for the Smithsonian Institution’s travel programmes, Shirley Ganse lives in Seattle , Washington .